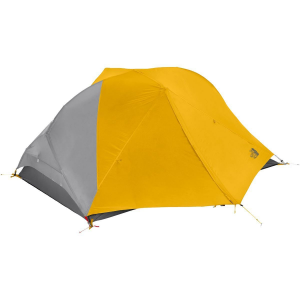 North Face's first real stab at a relatively ultralight tent is pretty dang good, except for one or two sore thumbs that may irritate you when setting it up. Some may laugh at the sight of me calling this an ultralight tent, but for how roomy it is yet able to hold such a low weight qualifies it in my opinion. I haven't used this tent more than a few times now, but I can definitely say it holds up to weather. First time using it, I got hit unexpectedly with a huge thunderstorm. Thankfully, this tent sets up very fast so it didn't get too much water in it upon setup. Once set up, the fly took a beating from the heavy wind and rain but didn't budge. 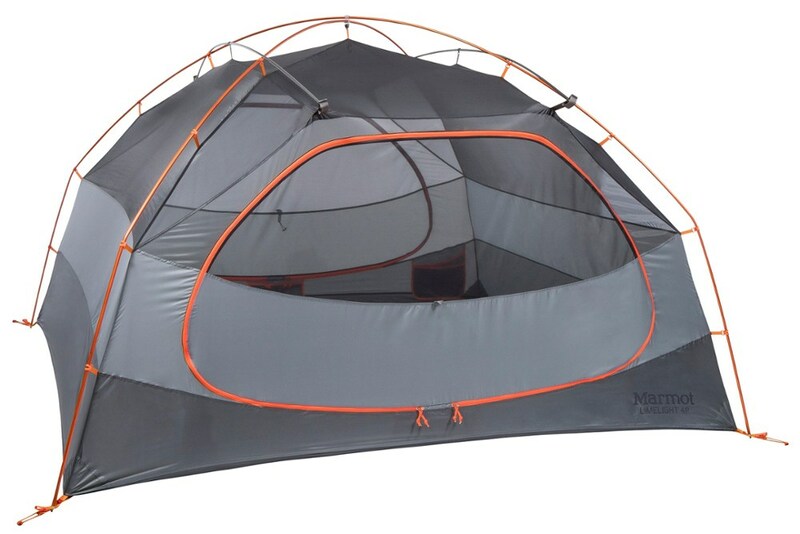 Now, the one thing you will want to think about when buying this tent is the footprint. 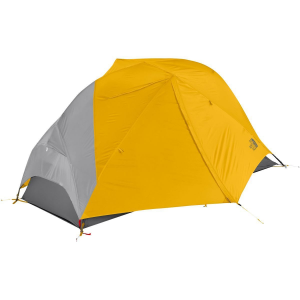 For some odd and unknown reason, North Face thought to make the footprint larger than the actual tent floor was a good idea (which is insanely stupid). it's not taut when under the tent whatsoever. If the tent were to move at all, the footprint might not even move with it. But thankfully this can be remedied by making your own footprint, which is not too difficult. Another slight annoyance for some is that the tent poles are rather large even when broken down. To put the poles in the pack, I have to slide then behind my sleeping until they go near the bottom, and almost poke out the top. My Gregory Baltoro is more of a width based pack, so this might only be a slight annoyance for me. If this ever was a problem for anyone else, I'm sure you can also strap it down outside the pack with no issue as well. Some even prefer that! Now, factory weight is said to be at 2 pounds 11 ounces, which is probably 3 if you include the footprint. Personally, I would include the footprint, because of how light the tent floor is. If you're camping on rather soft ground or grass, then I wouldn't worry about it. Living in Colorado though, I do worry about it. One thing I have noticed is that because of its lighter color, it tends to get a little dirtier easily. But we don't buy tents for visual aesthetic, do we? Some may. I don't associate with those type of people though. Ventilation is amazing, I've had no problems with condensation or being too hot during the summer. 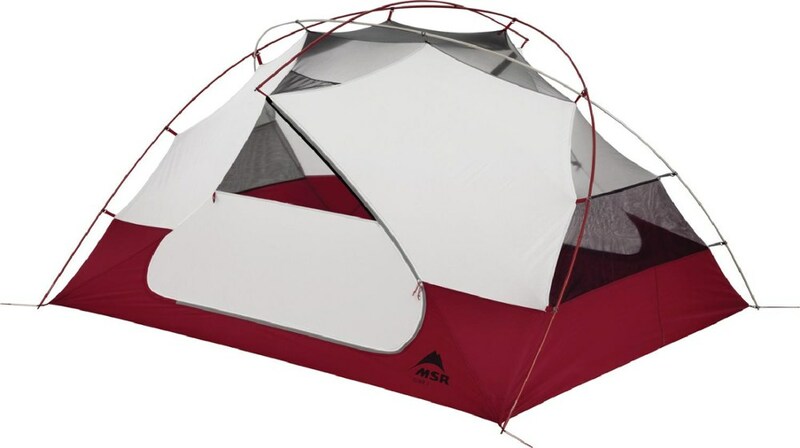 Aside from a pesky footprint and some slightly longer than usual tent poles, this tent is truly a good light tent that can be used for many adventures and will continue to be used for my adventures to come. Thanks for the review, Jordan. I hope you'll keep us posted on how your TNF tent holds up. That's odd about the footprint though. Did you contact them and ask about it? I really wanted this to be a good tent! North Face made two versions of the Mica FL2. I purchased the 2014 model (non-freestanding) and I used it to hike the Palmetto and Appalachian trails in 2015. Needless to say, I am pretty hard on tents but it performed well over lots miles and harsh weather. However, it was time to replace it. 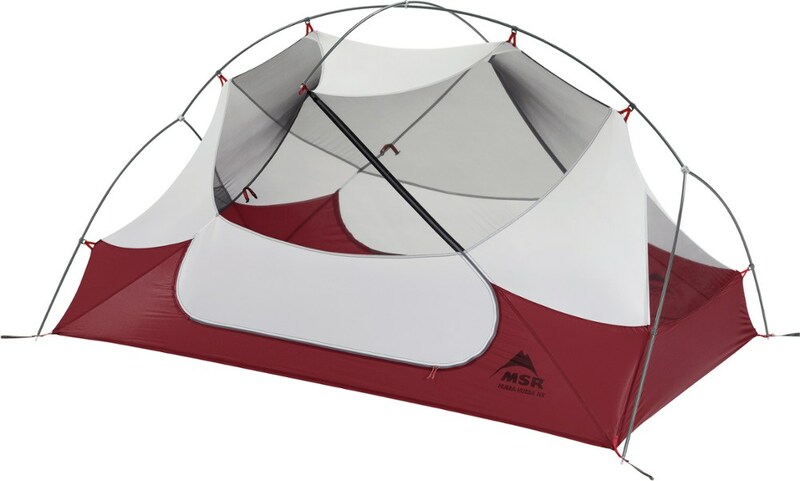 So I purchased the current model (freestanding) of the tent last week and used it three times. I woke up this morning and noticed the mosquito netting was beginning to separate and in some places holes had already formed. North Face will warranty the return without any questions, but I am bummed this version will not work. I really wanted to like this tent! (1) TNF figured out the geometry and put the vestibule zipper at a point with less stress. (2) I really like the fact that the current version is freestanding. (3) The bathtub design is much improved. Unfortunately, when they shaved ounces to compete in the ultralight class, they selected mosquito netting that is much too fragile. So...the quest for the perfect tent continues. Welcome to Trailspace, Robert! 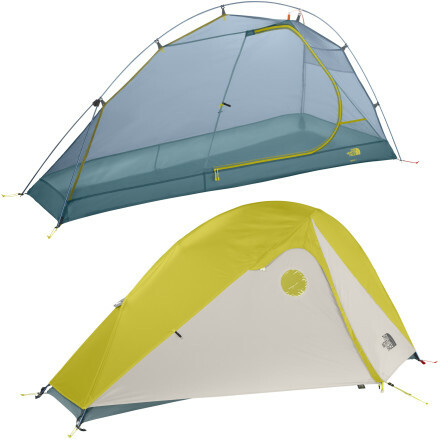 Thanks for the review of your Mica tent. Do you have any pictures of your two versions you could share in your review? I hope the replacement works out better. Please keep us posted. Wow! This is the best tent I've ever owned. 3lbs10oz with two entrances is nice. But the real kicker is the lifetime warranty that comes with TNF tents. This is a great tent. Sets up very easy. It is very light. Absolutely waterproof. I have studied many tents for one man use and this is by far and away the best! I like to keep my pack in the tent — not for weather — for rodents! I have not yet seen a primitive campsite w/o mice! Vestibules are good for keeping things dry, but they won't stop a mouse! 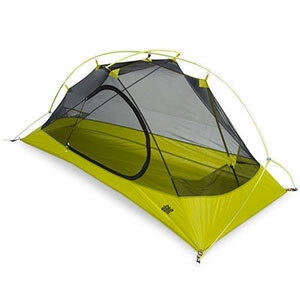 So, I need a lightweight tent that I can put my pack in, and this is it!